Questioning vaccines ought to be a ‘crime,’ according to a new bill by California Senator Richard Pan. Bad enough that politicians like Pan know next to nothing about medicine and its worse when even pediatricians themselves do not understand what they are doing according to the strongest proponent of vaccines in the world which is Dr. Paul Ofitt. The vaccine industry and the CDC and FDA that stands behind it are dirty. Del Bigtree, the founder of Informed Consent Action Network (ICAN), teamed up with Robert F. Kennedy Jr. to take on the U.S. government by filing suit against the Department of Health and Human Services (DHHS) for vaccine safety violations — and they won. This is big news for all concerned with the topic of vaccine safety. It turns out the federal agency has been neglecting their vaccine safety obligations for over 30 years. The lawsuit brought by RFK Jr. is evidence that “vaccine safety” does not exist. Violence and cruelty are the backbone of a great part of humanity and certainly it’s the backbone of modern medicine. Dr. Offit, says vaccines are violent and they are. There is a health care crisis sweeping the world and mainstream doctors are not tuned in because they and their medicines are a great part of the cause. Vaccines are included as a major cause of health problems including autism and even death yet little choice is given to the public. Many do think it right to bring kids into this world only to allow men and women in white coats to attack them violently. To have these folks with bright smiles pin your child down and give them biological agents against their will does too often end in tragedy. One has to listen to to this video if one is interested in the truth about vaccines. In it Robert F. Kennedy Jr. explained on TV how things got to be so bad in the vaccine/pharaceutical industry. How Big Pharma became a law unto themselves. How they can put toxic ingredients in vaccines, they can seriously injure your child and not care a witt about it – because you cannot sue them. In the video above Kennedy made it really clear that a child’s chance of death, especially after a DPT vaccine, greatly increases a childs chance of death. This was a main conclusion of a prestigous study conducted in Africa from a Danish institution. 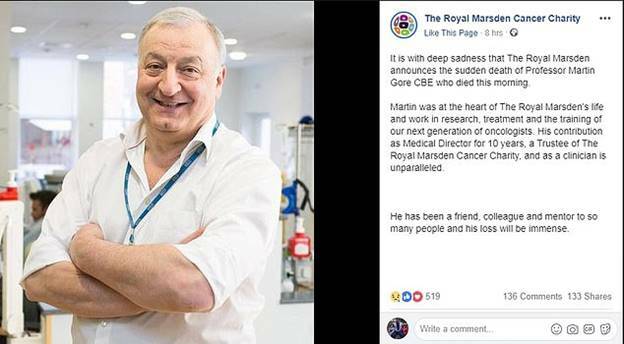 Dr. Martin Gore, a widely celebrated cancer doctor credited with “saving thousands of lives” died from “total organ failure” just minutes after receiving a vaccine shot. 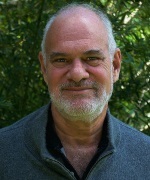 Dr. Gore was a professor of cancer medicine at the Institute of Cancer Research based in London. He “died suddenly in early January 2019, after a routine inoculation for yellow fever,” reports The Times (UK). “Did you know that in 1953, the CDC’s recommended vaccine schedule from birth through the age of 6 years was 16 doses of just 4 vaccines? Fast forward to 2013 and the CDC’s recommended schedule is now 50 doses of 14 vaccines starting at birth! Why?! In my lecture, I break everything down for you so that you can understand why the CDC’s point of view about vaccines could not be further from the truth,” writes Dr. David Brownstein, one of the finest physicians I know. Thank you to SC for sharing this story with us @ ZEROVAXX!